Finished developing this – finally. Our last series with frozen models for the year. Though nobody wants to see winter, it might feel like tomorrow! First, we wish everyone a Happy Holidays. The year went by quick, and we are already putting 2018 into action. December is here and the winter storms have begun in the Pacific Northwest. Outdoor sessions are unpredictable at best with weather, but we have still be out shooting portraits and our series – The Elements. We are getting ready to announce a couple amazing projects. Assunta is launching her Make-Up website assuntanapoleone.com. 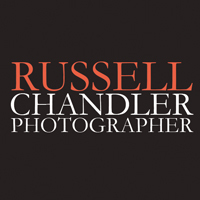 Russell will be presenting and shooting photos at Look & Feel Your Best. The Guardian of the Magickal Forest is now published and on sale. Speaking of Holidays – we are offering gift cards. Perfect to use for prints, albums, sessions and weddings. We also continue our upcoming photography and narrative series – The Elements. Happy Holidays and Ciao for now! A stormy day out in the mountains and a shoot that just about didn’t happen. A special THANKS goes out to RJ for letting us take over his place – make-up, hairspray and glitter everywhere. Also thanks to Anna and Orleana for braving the weather in style. Thanks to everyone who has liked our page and shared Bridge and Snow – over 2,200 shares. Amazing! As solstice approaches, we wish everyone a Happy Yule and Holidays. Tree and Snow – Winter. Skagit, WA. Deception Pass Bridge blanketed with snow after a winter snowstorm.